CENTRAL SIERRA NEVADA, Calif. March 16, 2019 – A massive multiagency search in the Sierra Nevada has been underway for more than a week to locate missing U.S. Marine Corps 1st Lt. Matthew Kraft, a 24-year-old man from Washington, Conn. Kraft set out on a solo ski and hike trip on Feb. 24 with an itinerary to complete the 195-mile Sierra High Route on March 4 or 5. Beginning today the search operation will transition into a limited continuous search status until Kraft is found. On March 4, Kraft’s father contacted Mono County Sheriff after not hearing from his son. Mono County Sheriff’s Office began checking trail heads in the Bridgeport area that day. Cell phone forensics initiated by Mono County Sheriff showed that his last phone activity was in the Independence area, in Inyo County. Inyo County Sheriff’s Office Search and Rescue began a search on March 5. The evening of March 8, Kraft’s vehicle was located at the Grays Meadows campground above Independence, Calif.
Backcountry snow instability and weather issues, including high winds, have been a significant challenge for search crews. Both aerial and ground searches have identified avalanche activity, cornices, and snow bridges throughout the wilderness, including along the Sierra High Route. The search zone has been determined to be larger than the state of Rhode Island and consists of the 195-mile Sierra High Route as well as multiple points of potential exit. Aerial reconnaissance and ground teams have been deployed to the search area; however to date there have been no substantiated clues that link Kraft to any particular search area. Additionally, aircraft with thermal and night vision imagery capabilities have been flying the route and while several points of interest have been identified – all have been investigated and determined to be animal related. Search crews also employed RECCO technology, an electronic device to find people buried in an avalanche. Search and rescue authorities have been unable to locate evidence of Kraft’s location along his planned route. The Marine Corps, along with the other assisting agencies, will continue to stand by and support Kraft’s family, friends, and Marines during this difficult time. Agencies assisting throughout this search include U.S. Marine Corps, Mono County Sheriff, Mono County Search and Rescue, Inyo County Sheriff, Inyo County Search and Rescue, Madera County Sheriff, Fresno County Sheriff, Tulare County Sheriff, Los Angeles County Sheriff, Sequoia and Kings National Parks, Yosemite National Park, CHP H-80, CHP H-40, Air National Guard, Sierra Madre Search and Rescue Team, Bay Area Mountain Rescue Unit, China Lake Naval Weapons Base, and California Office of Emergency Services. This is the final news release about this search and rescue operation, unless new information becomes available. Beginning Monday, March 18, InciWeb, the Incident Information System being used to relay regular updates will go into inactive status, meaning updates will no longer be posted, but the page will remain accessible to anyone wanting information about this search. If you were in the search area on or around Feb. 23, and you think you might have seen Kraft, please call 559-565-4286. OLANCHA, CA. March 14, 2019 – Inyo County Animal Services conducted an inspection of Diane Chonto’s Wild Burro Sanctuary on Tuesday March 5. Animal Services officers witnessed approximately 160 burros, mules, horses and other livestock suffering from varying degrees of long-term neglect. Several animals had hooves so overgrown that they curled under and continued to grow backwards toward the hind legs; many were unable to stand, and reaching food and water was difficult. On Tuesday March 11 Inyo County Sheriff’s Investigators and Deputies executed a search and seizure warrant at the Burro Sanctuary. An arrest warrant was served on Chonto and she was taken into custody and booked for felony animal cruelty. Workers from the Peaceful Valley Donkey Rescue from Texas assisted in relocating the animals to a regional care facility. Prior to transport all animals were checked by a veterinarian. The total number of relocated animals includes: nine horses, seven mules, and 150 donkeys. Additionally one cow, two mini donkeys, and one dog were relocated locally. Six burros needed to be euthanized. Bishop, CA — Sophomore Samantha Burns, from Bishop Union High School, received the title of Inyo County Poetry Out Loud Champion, for the second year in a row, at the ninth annual county finals held in Bishop on February 6, 2019. The runner-up was Erik Martinez, from Owens Valley High School. Students from Bishop Union, Palisade Glacier, Owens Valley, and Keith Bright schools not only competed, but wowed the full house with their dramatic interpretations of both well-known and more obscure poetic works. ICA would like to thank these students, and their teachers, for participating in this powerful and popular program. An initiative of the National Endowment for the Arts and The Poetry Foundation, administered statewide by the California Arts Council, and locally by Inyo Council for the Arts, Poetry Out Loud encourages high school students to learn about poetry through memorization, performance, and competition. Participants master public speaking skills, build self-confidence, and learn about literary history and contemporary life. Performances are judged on criteria including presence, evidence of understanding, dramatic performance, and accuracy. 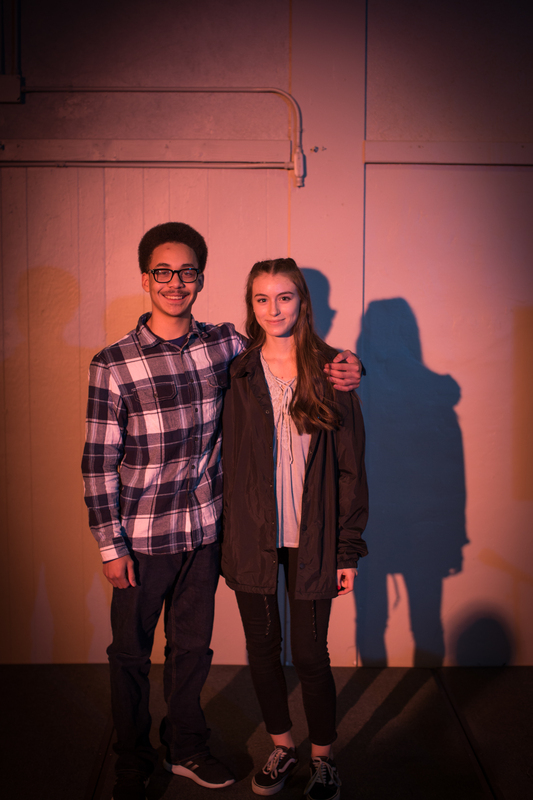 California’s Poetry Out Loud is the largest event of its kind in the U.S. and has grown steadily since its inception. The 2019 competition series encompasses 53 counties, 305 schools, and 730 teachers, reaching nearly 60,600 students statewide. and speak from your soul, because in the end being sincere and true to yourself is really what people in the theater—and everywhere—crave to see in a performance,” she said. Penny DellaPelle, a sophomore at San Luis Obispo High School in San Luis Obispo County, was runner-up and will represent California in the national finals in the event Bogas is unable to attend. Jackson Dean, a senior at Palm Valley School and repeat Riverside County champion, took third place. Lone Pine, CA (March 12, 2019) – The Alabama Hills Stewardship Group, along with dozens of area stakeholders and the community of Lone Pine are celebrating the passage of a congressional measure that will create the first ever “Alabama Hills National Scenic Area”! “All these years of community input has helped improve and strengthen both our stewardship efforts and this important legislation; as well as our coalition of support” stated Kevin Mazzu, board member of the Alabama Hills Stewardship Group (AHSG). “The heavy lifting was done early in the process; with several final enhancements – based on stakeholder feedback – helping the legislation reach the perfect balance between conservation and access”. hard work of local stakeholders finally coming to fruition.” Matt Kingsley, 5th District – Inyo County Supervisor said. The legislation states: “The purpose of the National Scenic Area is to conserve, protect, and enhance for the benefit, use, and enjoyment of present and futures generations the nationally significant scenic, cultural, geological, educational, biological, historical, recreational, cinematographic, and scientific resources”…With current recreational activities in the Alabama Hills allowed to continue: “including hiking, mountain biking, rock climbing, sightseeing, horseback riding, hunting, fishing, and appropriate authorized motorized vehicle use”. Friends of the Inyo, a local public lands advocacy group, has been a critical partner in this legislative journey, beginning with AHSG founding board member and current secretary for the FOI, Mike Prather. Mike wrote the initial legislation before handing it off to federal legislators, with most of his initial draft making it into the final legislation. The Alabama Hills are the birthplace of the American Western film genre and the Act will also allow the continuation of commercial filming and still photography, as well as grazing on two BLM allotments; and recreational prospecting/rock hounding in the historic mining area. These were all “must haves” expressed by key stakeholders in the designation study process. Finally, the development of a comprehensive plan for the long-term management of the National Scenic Area shall be in consultation “with appropriate State, tribal, and local governmental entities, and members of the public” including all our key stakeholders. The current bill is the culmination of a collaborative 10-year process led by the Alabama Hills Stewardship Group that gathered input from over 30 stakeholder and 40 different user groups. Feedback was received from a diversity of groups ranging from local government, conservation, chambers of commerce, local cattle ranchers, rock climbers and ATV riders. This input helped direct the effort to explore a federally legislated designation and led to a final recommendation to designate 18,610 acres in the Alabama Hills, a National Scenic Area under the National Landscape Conservation System (NLCS), which will be the first-of-its-kind designation managed by the Bureau of Land Management. National Conservation Lands are the nation’s newest class of protected lands, established in 2000 to “conserve, protect, and restore…nationally significant landscapes that have outstanding cultural, ecological, and scientific values for the benefit of the public”. The BLM has been a supportive partner with the AHSG, the local Tribe and the Lone Pine community throughout their 12-year relationship. This designation will protect both the spectacular landscape and the various user groups’ access to the Alabama Hills. The Poetry Out Loud State Championships start this weekend on Sunday, and Inyo County’s local champion is competing in Sacramento. Samantha Burns, a student at Bishop Union High School will be competing against students from fifty-two other counties in California. If Samantha were to place in the top eight of the Poetry Out Loud contest, she would have the opportunity to attend the national contest in Washington DC. As far as the competition is concerned, there are two heats occurring at the Stanley Mosk Library in Sacramento on Sunday. The northern counties for California will start the proceedings at 9:00 AM. Afterwards, students from the southern counties will read their poetry beginning at 2:00 P.M. Inyo County is apart of the southern groupings. There are two poems which students must recite. The contestants are judged by accuracy, eye contact and delivery. Several judges determine who they believe were the best performers and the finalists will have to recite their third poems in the State Capitol Senate Chamber on Monday. Afterward, a winner will be selected by the judges. Inyo County’s finalist, Samantha Burns two poems she will recite are Bleeding Heart and Blade Unplugged. Bleeding Heart is a poem written by Carmen Giménez Smith, a poet based in New York City, who has been awarded the Juniper Prize for Poetry. The second poem is Blade Unplugged, written by Tim Seibles, who is a poet and a professor of English and creative writing at Old Dominion University. A water-rich snowpack has blessed the Sierra Nevada thus far this year and indicators are that Californians should expect even more rain and snow this year. The Department of Water Resources (DWR) conducted its third manual 2019 Phillips Station snow survey on Thursday and found 113 inches of snow depth and a snow water equivalent (SWE) of 43.5 inches. The SWE on January 31 at Phillips Station was 18 inches; this time last year the SWE at the same location was just 1.5 inches. SWE is the depth of water that theoretically would result if the entire snowpack melted instantaneously. Nemeth’s reference to “storms aren’t done giving yet” is in part due to the National Weather Service officially confirming on February 14 that the Northern Hemisphere is experiencing weak El Niño conditions. Due to these above-average sea surface temperatures, California is likely to experience more precipitation in the next two months. As witnessed in Northern California this week when an atmospheric storm blasted the region, flooding is and will be an ongoing concern in certain areas. These include any low-lying areas, water-laden hillsides and the state’s multiple burn areas. This week’s storm made islands out of Guerneville and Monte Rio when the Russian River which topped 46 feet. The river was responsible for the flooding of some 2,000 homes, businesses and other structures. Current statistics for the state’s largest reservoirs range from Oroville’s 84 percent and 137 percent New Melones versus their historical averages for this date. California’s largest surface reservoir, Lake Shasta, is at 112 percent of its historical average. The Sierra Nevada snowpack provides about 30 percent of California’s water needs. The on-going winter measurements of the snowpack is an important tool for water managers across the state to estimate anticipated spring runoff. Thursdays manual snowpack measurement at Phillips Station augments the electronic readings from nearly 100 snow pillows in the Sierra Nevada providing a current snapshot of the water content in the snowpack. Additional manual measurements of the Sierra Nevada will occur in late March/early April and possibly again in early May at Phillips Station just off Highway 50 near Sierra-at-Tahoe.